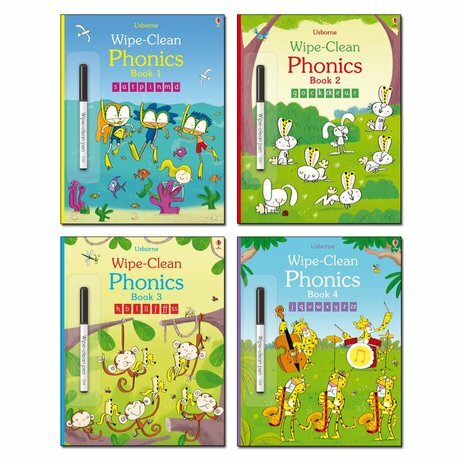 These wipe-clean funbooks are a really addictive way to practise phonics at home. Once you start wiping clean, you can’t stop. You’ll be having the time of your life. Match words to pictures; circle letter sounds; trace letters and write out simple words. You’ll do all those things in these fun-filled books. Plus – mistakes just wipe clean! What’s not to like?